John Cena could finally be making is comic book film debut. Per exclusive reporting from Variety, Cena is currently in talks to join Margot Robbie, Viola Davis, and Idris Elba for Warner Bros’ Suicide Squad sequel. Like Elba, there is no word as to which role the WWE superstar is eyeing. Robbie, who just wrapped filming on Birds Of Prey, will be returning as Harley Quinn while Davis will resume doling out orders as Amanda Waller. Neither Will Smith nor the character of Deadshot will make an appearance in the upcoming sequel. Despite shaky reviews (including our own, which you can check out here), the first Suicide Squad was a box office hit, and with James Gunn taking over writing and directorial duties, fans are hopeful that the second installment will improve in both execution and momentum. The film is currently slated for an August 6, 2021 release. 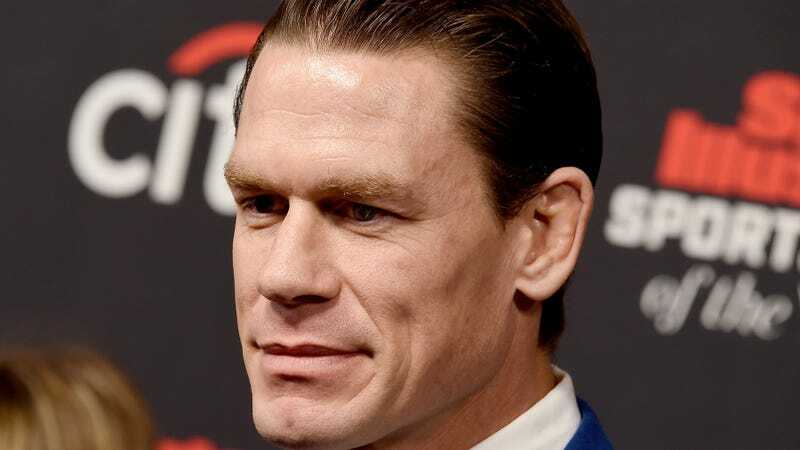 If Cena officially signs onto the sequel, he’ll be tasked with juggling it among a few of his other upcoming projects, including The Janson Directive with Dwayne “The Rock” Johnson and and The Voyage of Doctor Dolittle with Robert Downey Jr. and Selena Gomez. On second thought, maybe we&apos;ll just skip putting Deadshot in the next Suicide Squad movie, huh?